...For Such A Time As This? As a man of faith, this is a familiar passage found in the Old Testament Book of Esther that is referenced by many in times of decision. Times when we have to decide to risk it all, to stand up and serve, to lead or to choose to stay on the side of the road and fall behind. In November, the American College of Phlebology will host its 31st Annual Congress in Austin, Texas. Perhaps coincidentally, or perhaps not so coincidentally, 31 years ago I graduated from the University of South Carolina with a degree in Chemical Engineering and began a career path that led me to this point in time, to accept the position of Executive Director for the American College of Phlebology. I would not have said this was my objective, but here I am, starting my third career field with a breadth of experience that seems to have prepared me precisely for a time such as this. While I was being shaped for this new future, the College also was preparing for change. Two years ago in Chicago, the ACP Foundation gathered more than 50 leaders in our field, from the membership and corporate partners, to look into the future and project what was on the horizon in the field of venous and lymphatic medicine. Out of that Executive Leadership Summit, a new path was set for the College, for our members, and for our field. And so, you ask, what is just over this new horizon for the College? Core to the purpose of the College and all its stakeholders is the need to provide the highest quality medical education in venous and lymphatic medicine available in the U.S. Rest assured that while new opportunities are found on the horizon, education will remain central in our vision for the future. In 2018, the College is expanding our education opportunities beyond Annual Congress through a series of regionalized symposia. These events allow us to provide broader educational opportunities. These offerings will also deepen understanding, on a much more comprehensive basis, of all areas of venous and lymphatic medicine. It is our vision that a phlebologist will be the go-to specialist for anyone with a painful, swollen or ulcerated limb. An ACP phlebologist will have the knowledge to diagnose, treat and/or refer patients with all forms of venous or lymphatic disease. The College is working with the American Board of Venous & Lymphatic Medicine (ABVLM) and the Lymphatic Education & Research Network (LE&RN) to develop core content for physicians interested in the diagnosis and treatment of patients suffering with lymphedema. The College is developing education in this area and extending its support to this community of medical practitioners. Additionally, the College will be expanding our non-physician membership to include a section for lymphedema therapists. By bringing together therapists and physicians focused on lymphedema, we intend to support the ongoing efforts to increase awareness and provide the highest quality of medical care that these patients deserve. The College is developing a partnership with the Wound Care Educational Institute to provide our membership access to the latest educational and certification opportunities in wound care. This partnership will enable our membership to provide the most comprehensive care for our patients with venous related ulcerations. On another educational front, the ACP Foundation is stepping up their investment in the Fellowship program with plans to expand that program with the ABVLM. By the end of 2017, ABVLM will be overseeing four Fellowship programs and will be preparing to add at least four additional sites in 2018! These Fellowship programs are the last critical milestone for our application and with continued investment and expansion of the program to 10-12 programs, we hope to be in a position to submit our application for ABMS Board Certification in the next three to five years. What is beyond education? The College made the commitment to increase investment into researching venous and lymphatic medicine by developing the PRO Venous Registry several years ago. The PRO Registry is now functional and expanding. By the end of 2017, we expect to have more than 100 sites contributing data on a routine basis. Now that we have real data, what is next on that horizon? 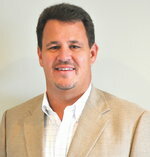 First, the College has just recently made the investment to add a Director of Research and Registry, Naomi Sinclair. 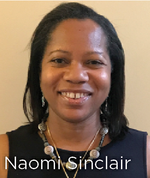 Naomi will focus on working with the registry and our membership to produce a series of registry-based research initiatives to support further development of our understanding in venous and lymphatic disease. With this investment, we are looking forward to a rapid expansion in our ability to generate meaningful research. Second, by the end of 2017, the registry will be capable of providing quality reporting to CMS for the registry participants. Third, we are pleased to announce the merger of the PRO Venous Registry with the Venous Patient Outcome Registry (VPOR). This merger will take several months to complete. When done, we will not only result in the largest single registry for venous and lymphatic disease, but also expand our indications for data capture and provide the platform for access to the PRO Registry from electronic platforms of hospital and academic institutions, such as EPIC. As we sail over the horizon to the rising sun, we clearly can see parallel paths in education and research as core principals of the College. Is there a third wake to be made as we power forward? Yes, there is! The College and the Foundation have agreed to invest in expanding the purpose of the College to become a stronger advocate for our members specifically, and the field of venous and lymphatic medicine in general. In the ever-changing health care environment where policymakers and payers are moving rapidly, it is imperative that, as a society, we work to ensure that the quality of life of our patients remains a core part of our national health care mission, and that this care not be compromised due to a lack of understanding of venous and lymphatic disease by decision-makers. Therefore, we are excited to add to our staff a full-time position that will focus solely on advocating for our patients and our members. Collaborating with our member volunteers and other related societies in the field, we hope to position ourselves more offensively to address policy changes before they become fact. In combination with the investments in our registry research, we want to provide the most current and relevant scientific and patient-reported outcome data to the various decision-makers to ensure that the care our patients require is available when needed. By the time this article is published, we hope to have named the individual who will join our staff and be able to introduce him/her at the Annual Congress in Austin, Texas this November. You now have a better understanding of the “New Horizon” the American College of Phlebology has set course for! A direction that will expand our mission and vision to benefit all that the College serves: our Membership, our Field, our Corporate Partners and, most importantly, our Patients faced with the challenges of venous and lymphatic disease. It is at “such a time as this” that I made the decision to move from our corporate partners to join the College to help guide the ship forward to this new horizon. But I cannot do it alone, not even with the dedicated leaders of the College who have and will continue to dedicate themselves to this new vision. It is going to take each and every one of us to step up and support the movement toward this bright future. You need to play an active role in this journey. Decide that you are in a place and time where you have been blessed to be able to commit yourself to “such a time as this.” What can you do? If you are not currently a member of the American College of Phlebology, start here. Join our ranks today and get involved where your talents begin to make a difference. If you already are a member, get involved! Join one of our committees and work alongside your colleagues to advance the field. Be active in our educational programs, support our research efforts by participating in the PRO Registry and get involved in your local medical associations to help drive change in health care policy and coverages. All of you reading this article are able to make a difference simply by donating to the American College of Phlebology Foundation. Invest to make a difference for your future and those who follow behind. It is only with your support and commitment to this new horizon that we will see positive and lasting change. I am excited to be part of “such a time."